For the third time, Tradecorp will sponsor the World Congress on the use of Biostimulants in Agriculture, organised every two years by New Ag International. 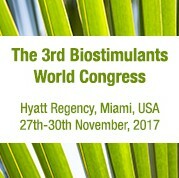 This year the event will take place from 27th to 30th November at the Hyatt Regency Hotel, Miami (USA). 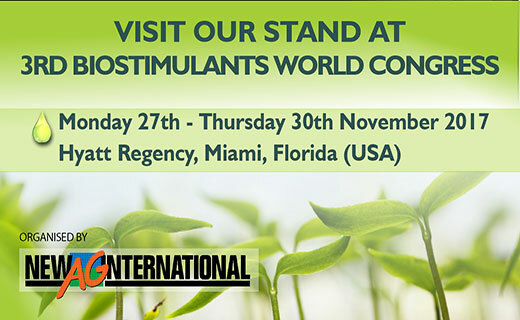 The main players in the sector will attend this international congress, centred around scientific and technical matters, to learn and present the latest advances in this product category, as well as the different legal aspects that affect biostimulants in the main markets. During the congress, scientific articles will also be presented with the aim of providing a better understanding about the role of biostimulants in agriculture. Besides from sponsoring the event, Tradecorp will also have its own stand at the exhibition area. If you would like to know more about Tradecorp and the solutions that we could offer you to improve your business, don’t hesitate to come and see us.